Has a tree fallen or appears it may fall soon? If so, this is a serious situation and our experienced team can help resolve this situation quickly. We provide prompt emergency tree removal in Atlanta and professional tree services to Greater Atlanta and surrounding counties. When a damaged tree falls or is threatening to fall on your property, this is a dangerous and very serious situation. 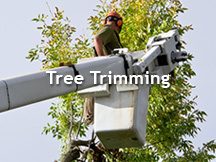 Our professional team of cutters, trimmers, and tree specialist are ready to help. We pride ourselves on being able to respond fast, and do what it takes to get the job done safely at your home or business. We offer affordable tree services in Johns Creek, GA. Removing dead or overgrown trees are common reasons to need tree removal services. If your tree may be damaged, allow us to asses the health of your tree and determine the best solution. 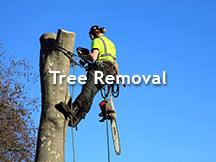 We offer tree removal services in Johns Creek and Metro Atlanta area. Atlanta suffers storms that in many cases destroy trees and property. In these situations a fast response and careful attention to safety are very important factors. 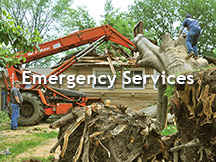 Contact us for emergency tree removal services in Johns Creek, GA and Metro Atlanta Area. Whether your tree has become overgrown, or you want to improve the aesthetics of your landscape, tree trimming is crucial. There are several techniques we use to improve the health and visual appeal of your tree. After a tree has been removed, you are left with the stump. 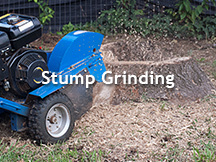 In most cases homeowners want the stump removed, and stump grinding is the perfect solution. The unsightly stump vanishes and the wood chips are used to fill the void. If you have an emergency or need an Atlanta Tree Service, call us Immediately!! Do you need a permit to prune your trees? Think your tree may have a disease? These and other important questions are addressed in our FAQ section. Each city has its’ own tree ordinance. The application process, trees allowed to be removed, and permit fees vary from city to city.